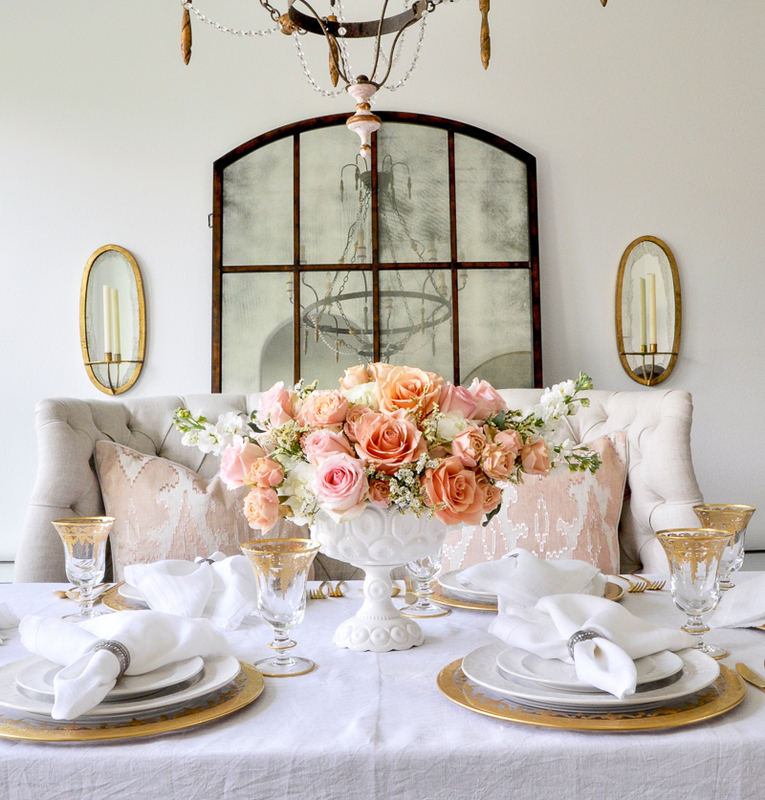 Today, I’m sharing a tour of my home all decked out for spring. I don’t know about you, but the second I begin putting our Christmas decorations away, I start looking forward to a spring. I love the abundance of flowers, the perfect weather, and just about everything else connected to this time of year. My tour today is part of the Seasonal Simplicity Series. If you made your way here from one of the other homes, welcome! This tour is such a fun one! 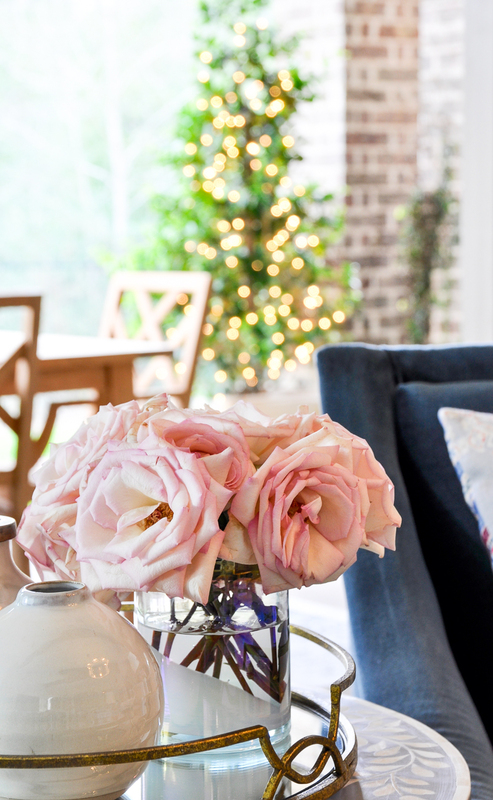 Our tour host is Krista from The Happy Housie, another must-read blog! 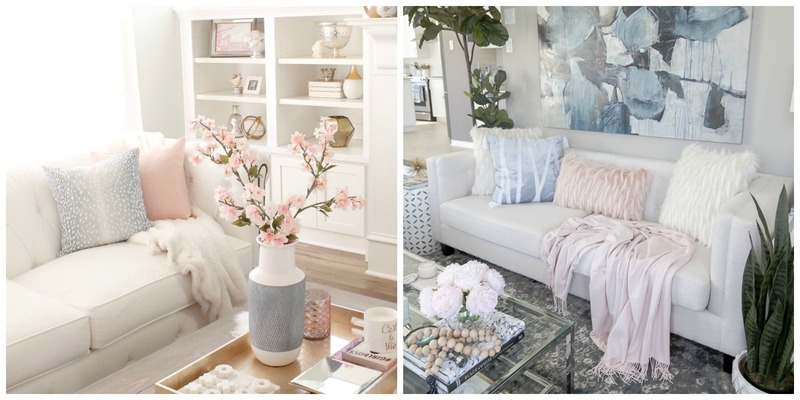 I absolutely loved every second of decorating my home for spring this year. Maybe because we spent most of spring at our Colorado Loft. And in the snow. I have loved the snow too, but it has been wonderful to have a bit of “sundress weather” here in Texas. Several of our rooms are undergoing some changes. If you are a regular around here you will likely notice a few of the updates. 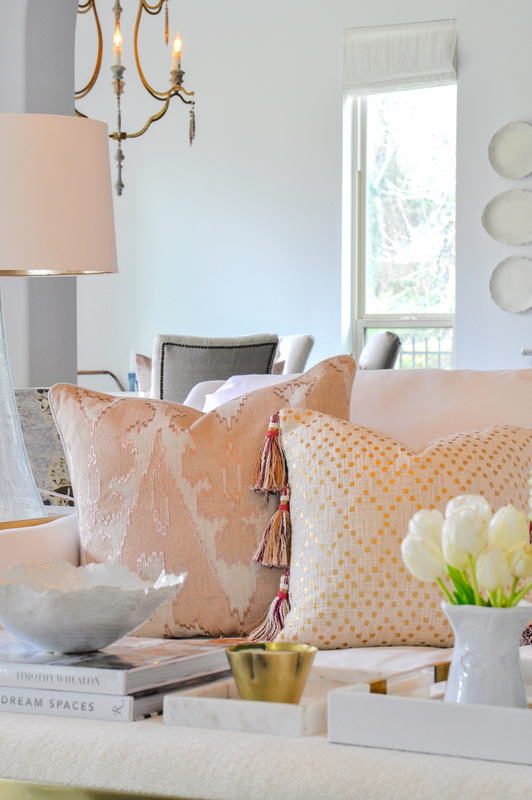 I’m working very hard to get each room finished so I can share a current home tour with you! Spring makes me so very happy and I hope you feel the same. Now, let’s get started! Our entry has evolved quite a bit since last spring. One of my favorite additions is our large artwork. It seems especially fitting for spring. Another change is this much-loved blue bench. I’ve had it in several places still I got it last fall. It looks good in each of them, but I think I am most happy with it here in our entry. 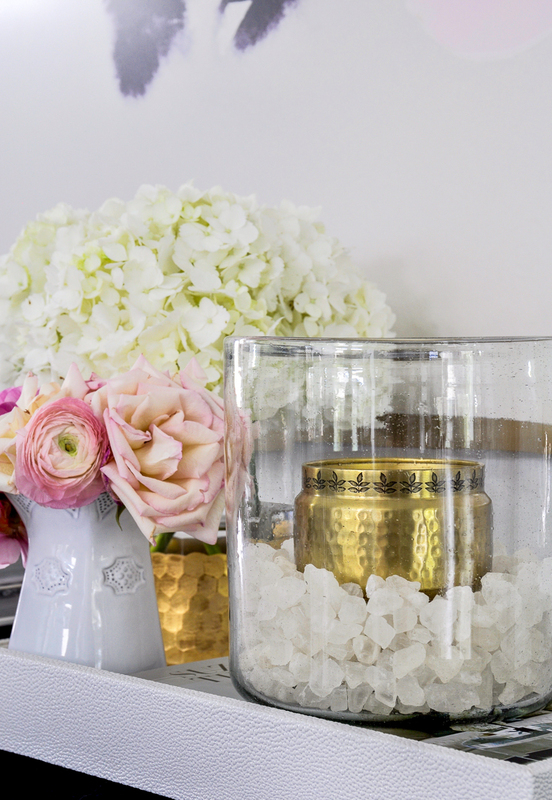 The wide glass vase and candle provide a beautiful scent upon entering. 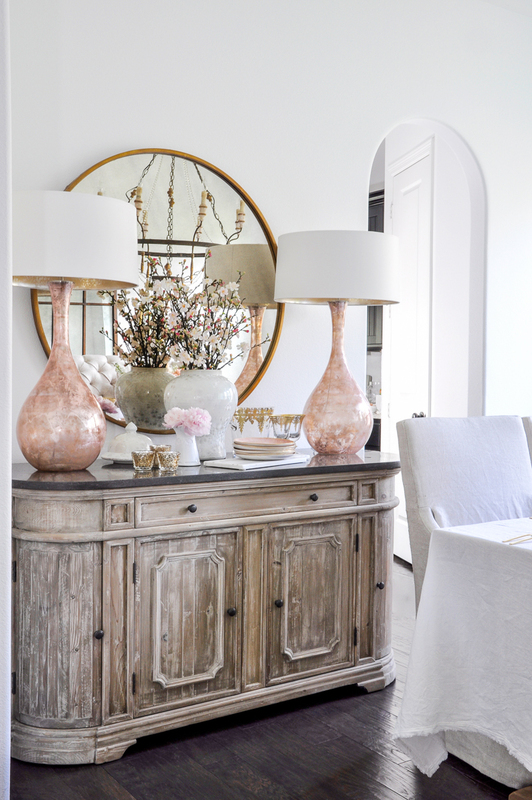 A bit of blush softened our white living room. 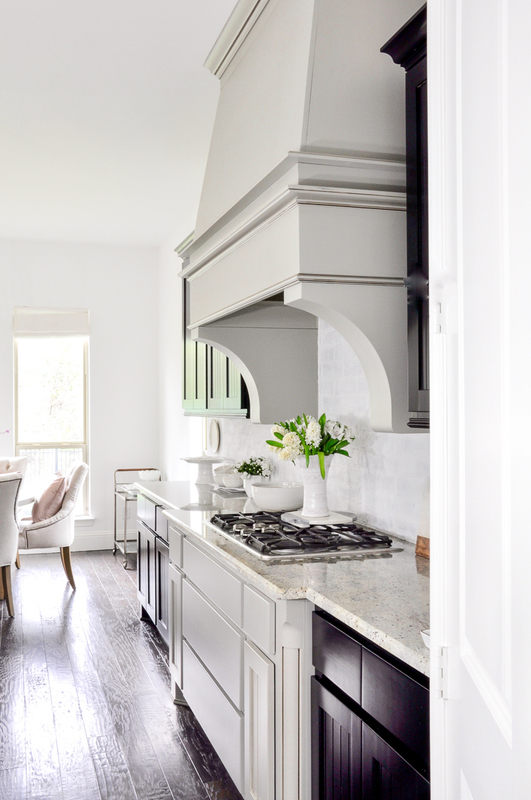 The kitchen is next up on my reveal list! A few small changes have made such a big difference. 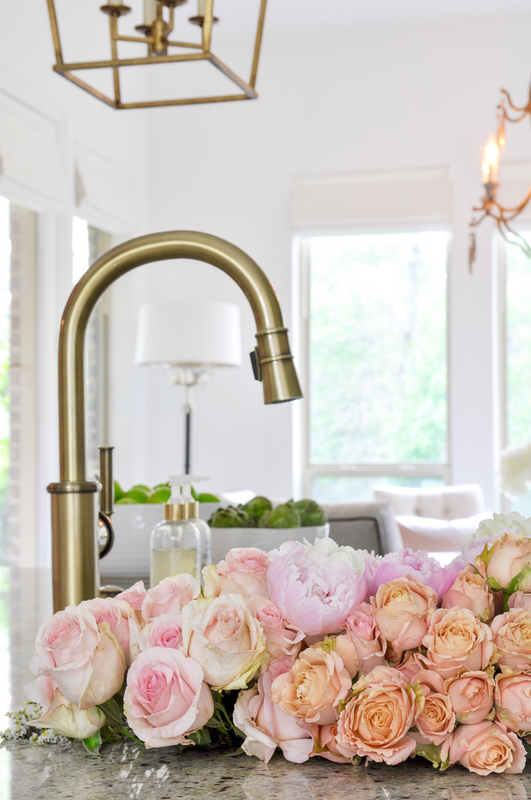 A painted backsplash and a gorgeous new faucet will be making a huge difference. I shared this space earlier this week. See it here. There are two big changes in here…. 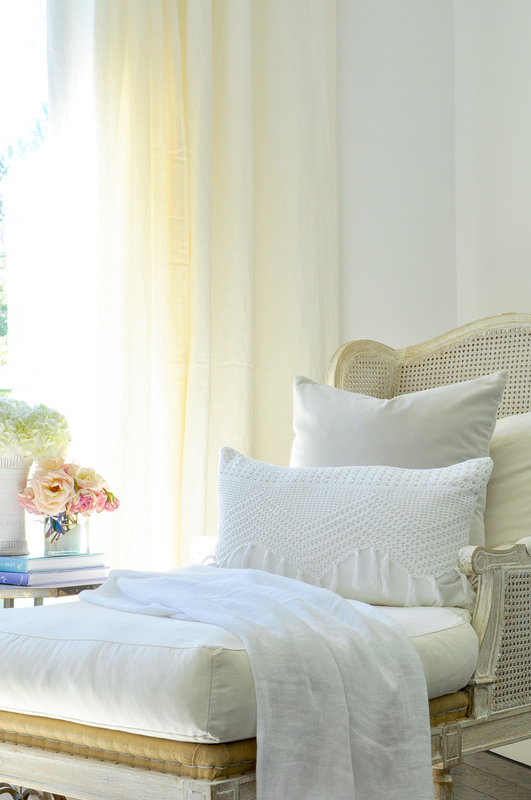 new white walls and new linen draperies. 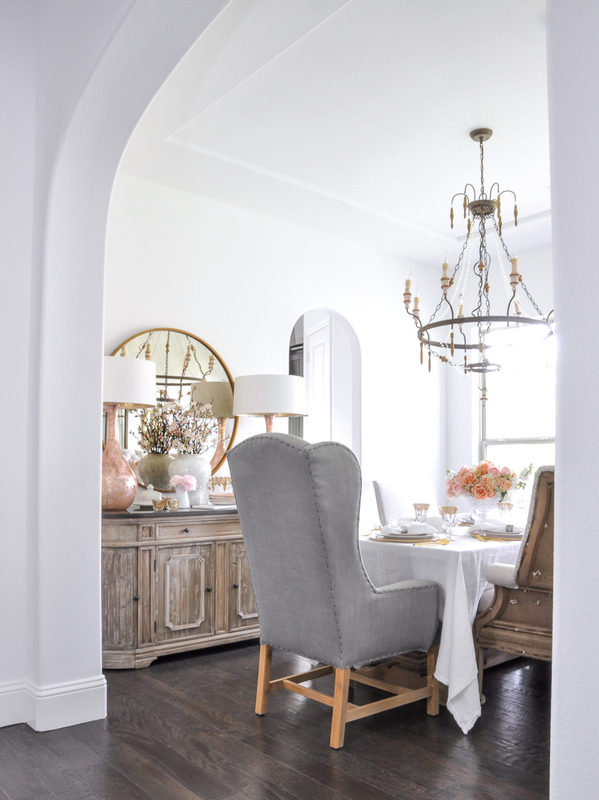 Once we painted the main areas of our home, we knew we would likely continue with additional rooms. Our bedroom looks much brighter with the new paint and it is the perfect backdrop for our gold rod and drapery panels. 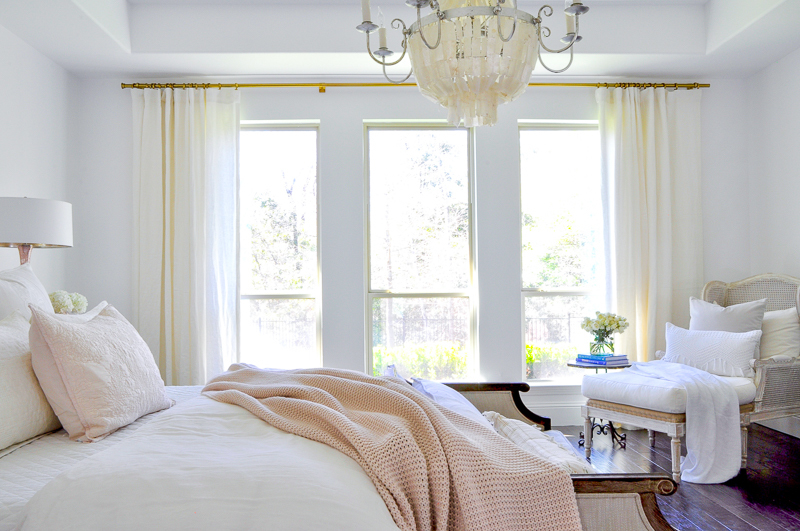 The draperies are by Barn & Willow, the same company that made our beautiful new Roman Shades (see them here). I absolutely love them! The view from my favorite chair includes a flowering redbud tree. 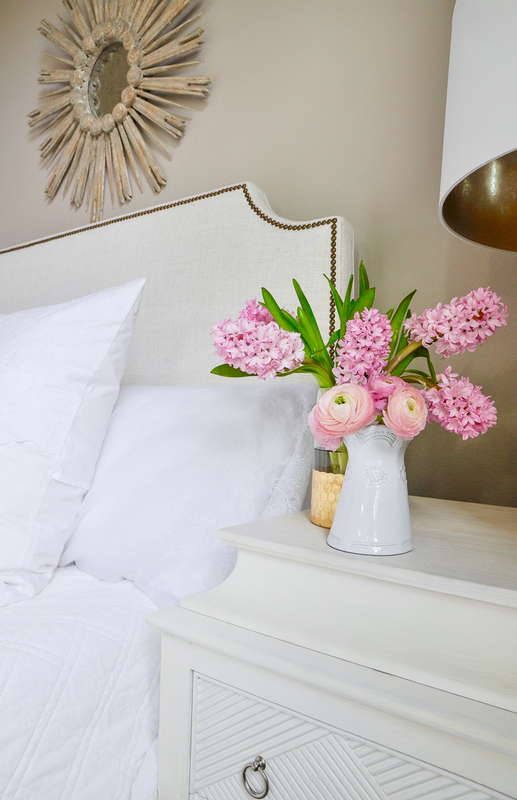 We are guest-ready with a few brighter white bedding pieces. So there you have it! I hope you’ve enjoyed touring our home. 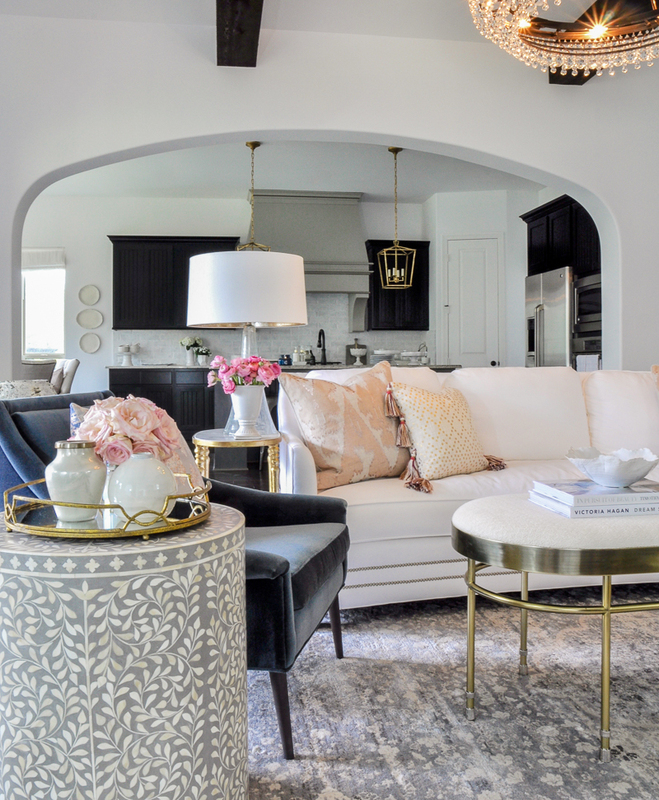 Now that you’re here, I hope you’ll stay connected…..
Next stop on our spring home tour, Amber Tysl! 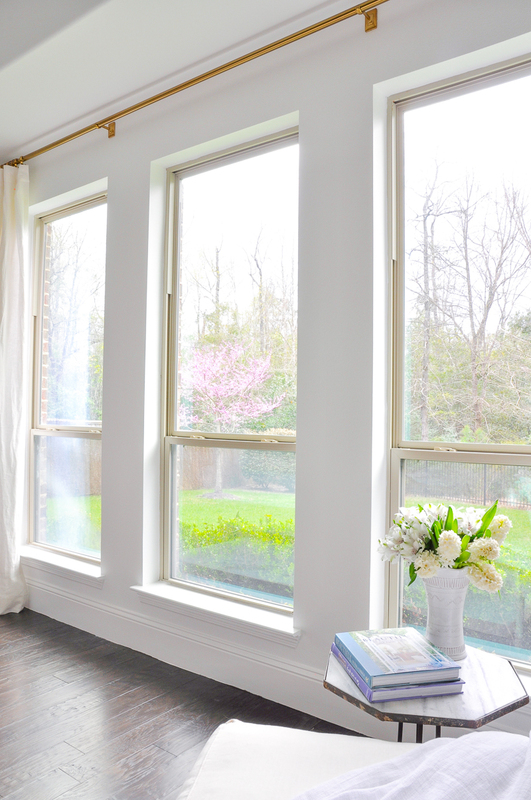 You will love her Simple Spring Home Tour! 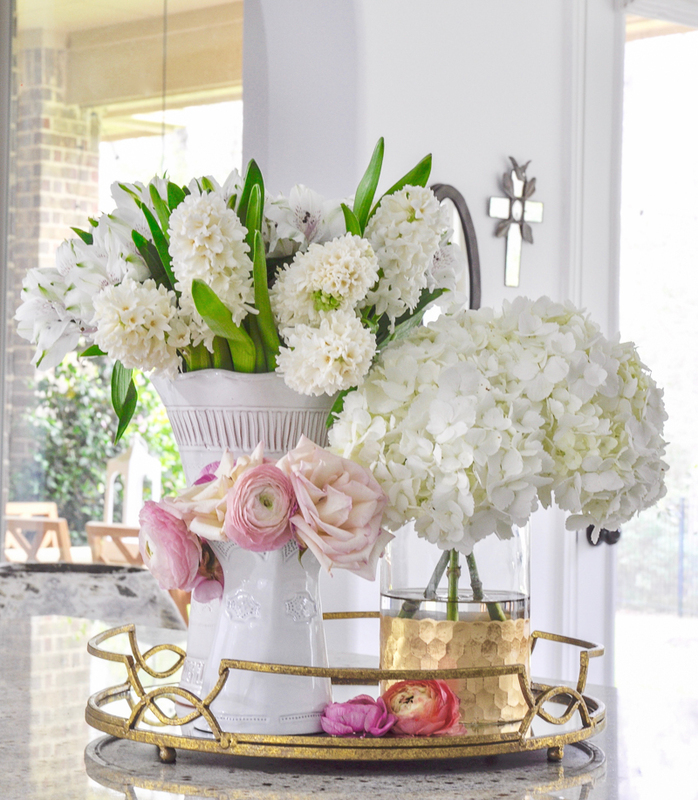 I absolutely love the Spring makeover at your house! How lovely! I can’t make up my mind whether I prefer your Master Bedroom or the Guest Bedroom. 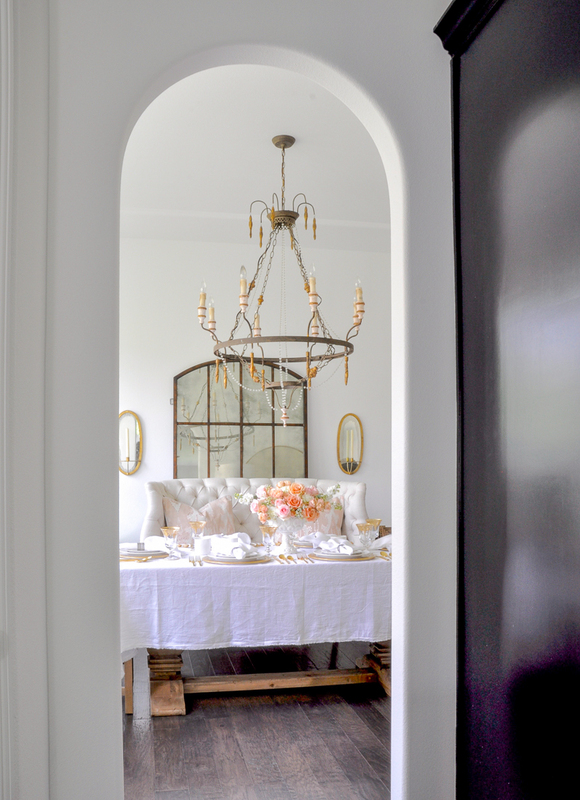 Love the white walls and curtains. 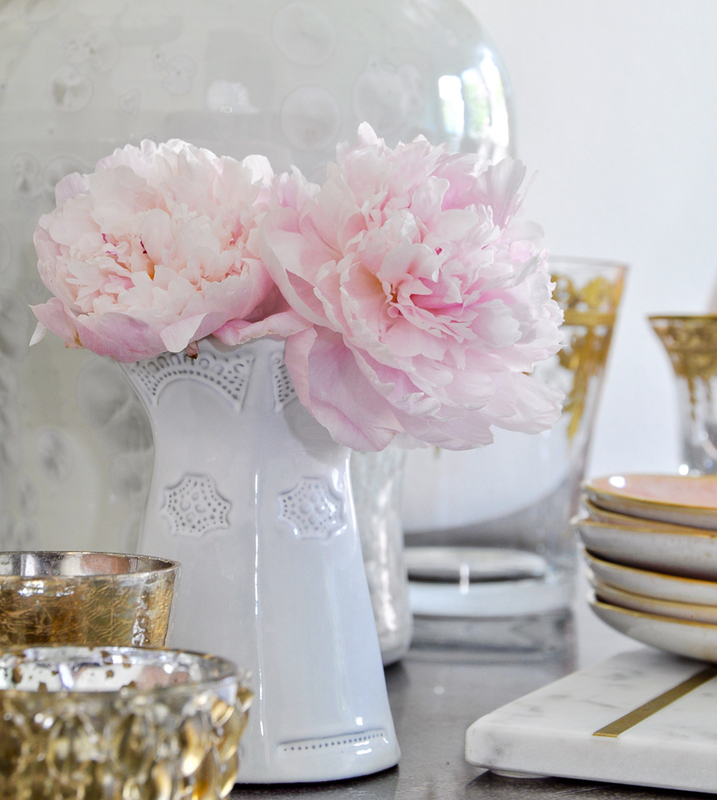 I also really love the vase with the metallic gold bottom that looks like a honeycomb (I love bee-themed items). 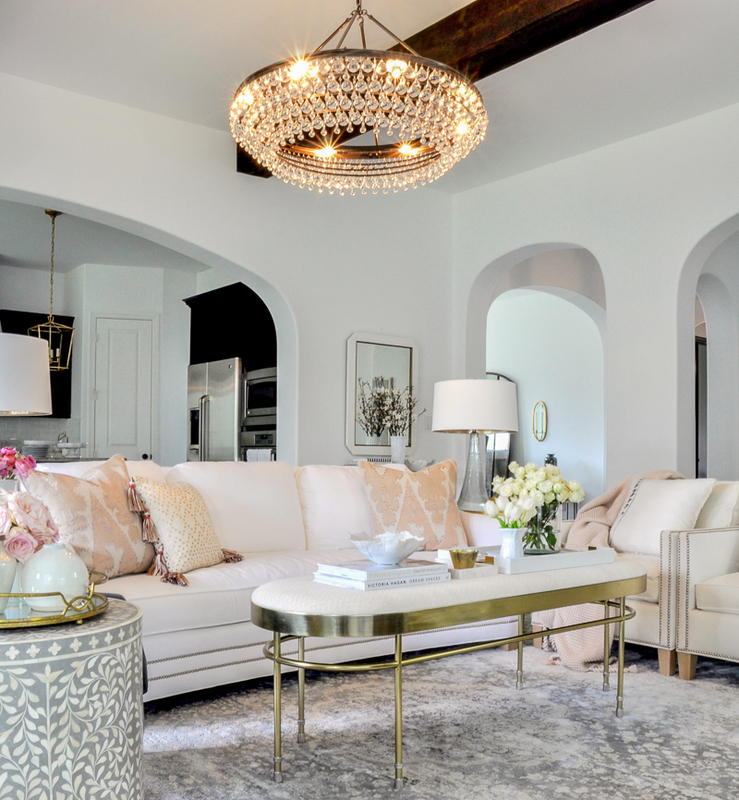 Also, not only did you add a bit of blush for Spring to your Living Room with the pillows, but I love that you added a bit of bling, too. What an appealing home! If I were a guest there, I’d feel wonderful! Happy Spring! Jennifer! 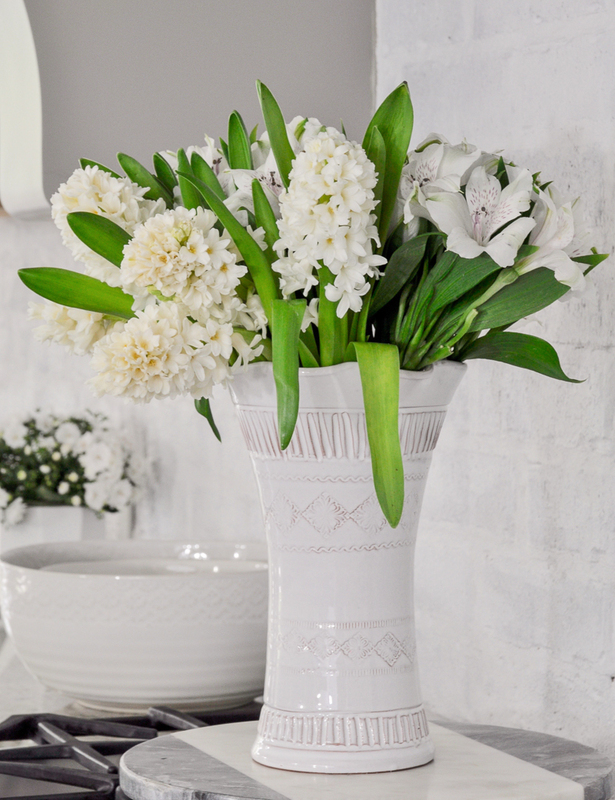 Your home is absolutely stunning and I am in awe of the beautiful spring touches you have added! Definitely magazine worthy! So glad you could join me on this tour series! 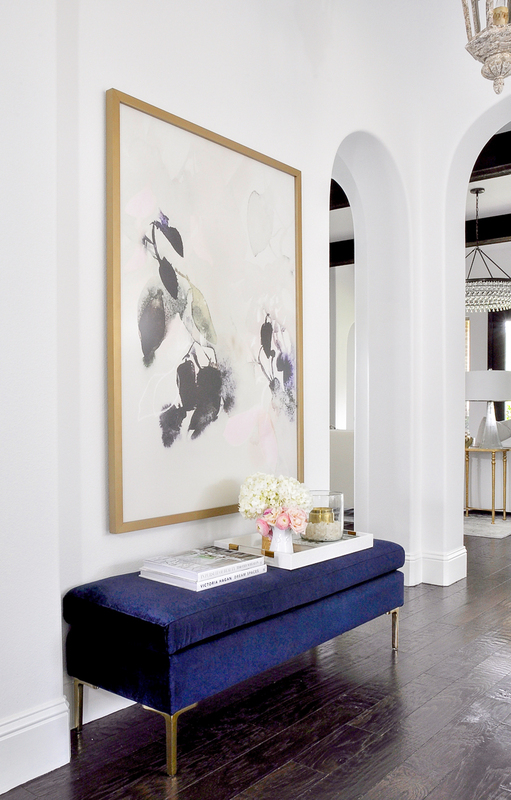 Beautiful home tour! I love your choice of light fixtures. All of it is just gorgeous! What a fun home tour Jen! 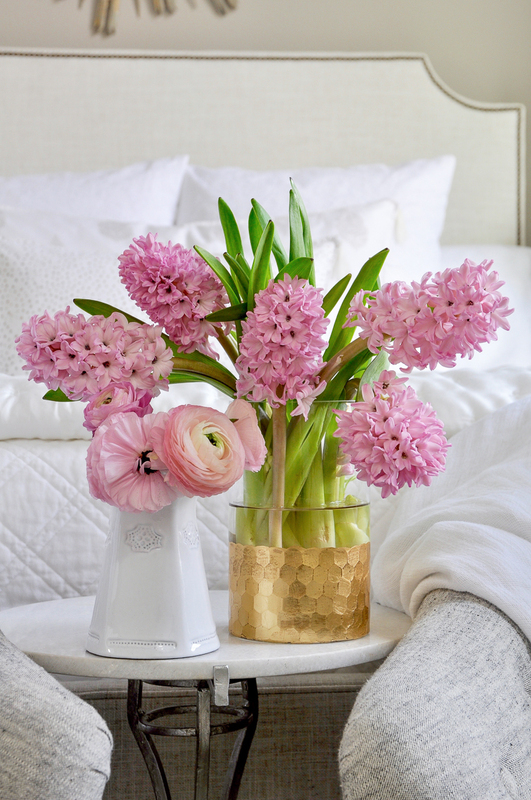 Love all your Spring touches! 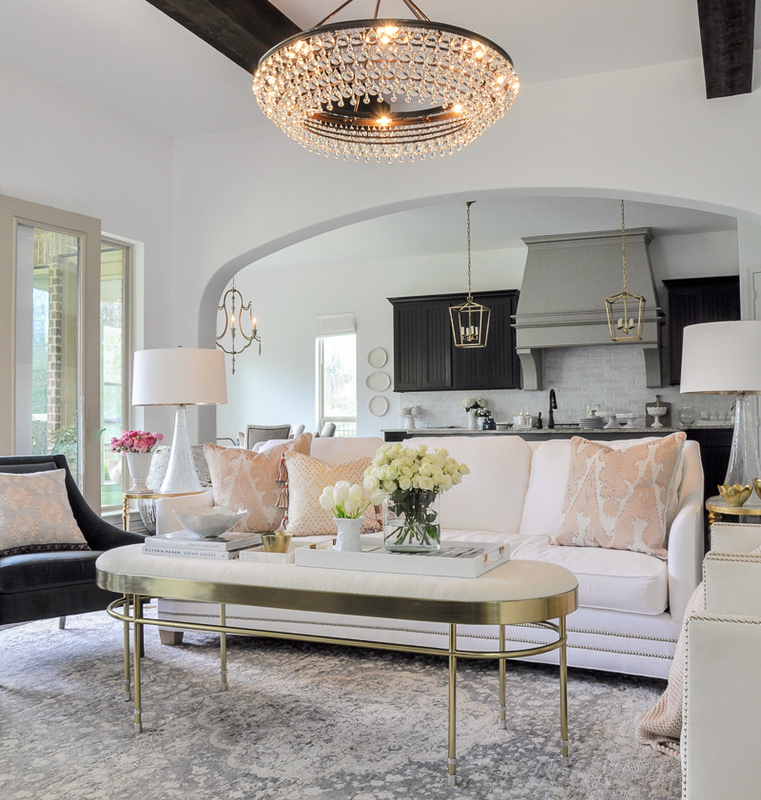 Your home looks amazing and beautiful Jen! 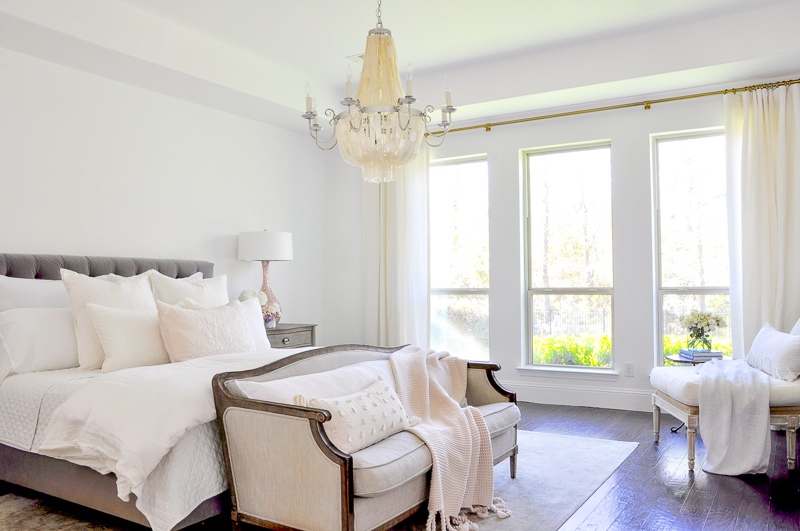 Adore that armchair in the master bedroom, that corner is so dreamy! Pining! 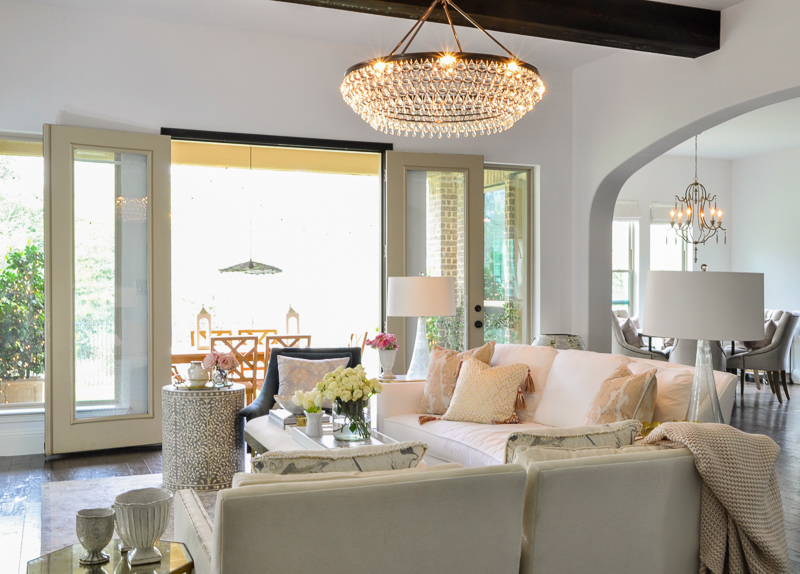 Amazing home Jennifer and so beautifully and tastefully decorated. 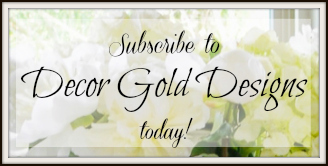 I love reading your blog. So gorgeous! Thank you for sharing your home!